Should You Buy A House With Tenants In It? Should You Buy A House With Tenants In It? As an investor should you buy a house with tenants in it or are you better off purchasing a property that is vacant? There are pros and cons to each. Should you buy a house with tenants in it? 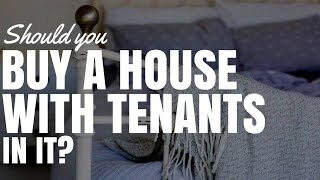 If you’re an investor looking to purchase a property and you find a property that already has tenants in it paying rent, this can sound like a great deal, but should you buy a property with tenants in it or is it better off to buy a property that is vacant and you can then go ahead and choose your own tenant? Hey, I’m Ryan from onproperty.com.au, helping you find positive cash flow property. And in today’s episode, I wanted to talk through some of the pros and the cons of purchasing a property has an existing tenant so you can understand; what are the benefits? what are the negatives? What are the risks? What’s the rewards? And you can make a decision for yourself. We’re going to start by looking at the benefits of having a tenant in your property. The first benefit is that the entire goal of you purchasing property is to have a tenant in there paying your mortgage, providing you with cash flow, offsetting your cost so your property can go up in value if capital gains is what you want. But the entire goal of purchasing that property is to rent it out to someone else and if you’re purchasing a property that already has a tenant, then you have effectively achieved that goal a lot easier than if you purchased a vacant property. There’s no advertising to get a tenant. There’s no waiting to get a tenant in. There’s no finding a property manager. The process is just so much easier because the tenant is already there. That is the major benefit of purchasing a property with a tenant. Another major benefit is that you’ve got instant cash flow in that property. If you were to purchase a vacant property, it may take a couple of weeks to rent out. You may be able to get earlier access to advertise it and to get a tenant in there before you take over the property. But it may take you a couple of weeks to get some money in through the door. In which case, you’ve got negative cash flow in that time. 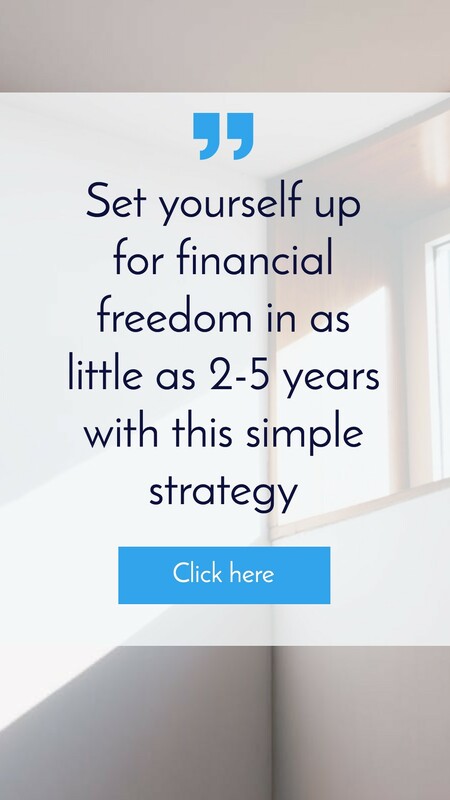 So, by having a tenant in there and just taking over the property with that tenant paying rent every single week, well, you’ve got instant cash flow there so you don’t need to worry about the issues of getting a new tenant and whether your property is going to lie vacant. So that’s a major benefit as well. My favourite benefit, I think, is the predictable cash flow that comes from already having a tenant in there. So if you’re looking at a property and you’re trying to work out what is the positive cash flow of this property going to be? or how negatively geared is this property going to be? You can do it based on estimates of what you think the market value of the property is. You can talk to the real estate agent. You can get pretty accurate there, but you don’t necessarily know the property is going to rent for that much or if you’re being taken for a ride. However, if someone’s in there renting the property, then you know how much money you’re getting and so you can go through, do your cash flow analysis and decide whether or not this is going to be a worthwhile investment for you. If you need help doing that cash flow analysis, go ahead and check out propertytools.com.au, which is a tool that I created where you can just enter the purchase price and rental income and it’ll give you some cash flow estimates or you can go through more details to get a more accurate result. So, again, go to propertytools.com.au to check out that tool. That’s one of the things I love about having an existing tenant is you can estimate the cash flow ahead of time based on what the tenant is actually paying. So you’re going to get a more accurate cash flow estimate. It’s just going to be that much easier. And then, the fourth benefit, which is definitely a maybe it’s not definitely a benefit, but there is potentially less maintenance that’s going to come with the property. Generally, when you get a new tenant in a property, I know this being a tenant and moving into properties, there’s going to be a lot of repair requests in the beginning. Because generally, the house isn’t maintained as well as a house that someone owns. And so, there’ll be a lot of little things that are broken. And so, when a tenant first moves in, there’s a lot of things they’ll want fixed to bring the house up to standard. However, once you’ve lived in a property for quite a while, you seem to forget that those things even exist. You may have decided to just live with it. You may go ahead and fix it yourself because it’s easier. You may even forget that it’s there altogether. And so, there’s potentially less maintenance when you have an existing tenant. But this is a big maybe because, obviously, it varies from property to property and a tenant could just say, “Okay, we got a new owner. The last owner was really stingy, wouldn’t pay to get anything done. So I’m going to hit up this new owner.” So it’s a big maybe. I probably shouldn’t even have listed it, but I thought it might be worthwhile mentioning. Next, let’s look at the cons of purchasing a property that has tenants in it because there are some cons. Now, if you want access to this property straightaway after you settle, to either live in the property or maybe you want to go in and you want to gut the place to renovate it, well that’s going to be extremely difficult with tenants in there. Generally, when you purchase a property, the lease agreement stays there. The lease agreement doesn’t disappear when the property changes ownership. So just because there was a previous owner and you’ve now taken over the property, that doesn’t mean you can just kick your tenants out and you can move in yourself. So it’s very important that you look at the lease agreement. Because chances are, you’re not going to just be able to move in straightaway or kick the tenants out whenever you want. If they’ve just signed a 12-month lease, chances are, they can live in that property and see out that 12 months if they want. I recently had a friend who purchased a property that they wanted to live in and they had this situation where the tenants had a long lease and they could stay there. They were lucky enough that they could talk with the tenants and say that they really wanted to move in. But it did take them, after they purchased it, it was a good 2-3 months before they lived in that property to allow the tenants enough time to find somewhere else and to leave because the tenants had every right to be there. So if you’re purchasing a property, just know – pretty sure it’s in every state, but obviously, check with a professional – that that tenancy agreement is going to stay there. That tenant has the right to stay there. So if you want to gut the place and renovate it, you probably can’t do that. If you want to move in and live in it, then you probably can’t do that either. So, be very careful there because you may not be able to kick those tenants out. Another con of purchasing a property with tenants in it is that you don’t actually know if they’re going to be good tenants. When you list a property, you get to go through all their details or the agent with go through their details and check their working arrangements, check their references, all of this sort of stuff. You don’t really get that opportunity because the tenant is already there. So, what you should do is go and request a copy of the rental ledger and to see if the tenants are paying on time and to try and get as much information you can about the tenants. Whether they’re good tenants. Whether they’re taking care of the property or if they damaged the property. Do they pay rent on time or are they often late? Do they need to be hounded? Have they ever been to tribunal? All this sorts of things. You may or may not get good tenants. You need to do some further research and digging to determine that, yes, just because this property is rented for $250 a week or $400 a week, that doesn’t mean that the tenant’s actually paying that. They may be really late and really behind. So, always do your research to find that out. Another con of purchasing a property with a tenant in there is they may be paying below market rent. Now, this can happen for 2 reasons. If you’ve got a great tenant in there, people are scared to raise the rent so they leave the rents really low. And over time, it gets quite far below market value. 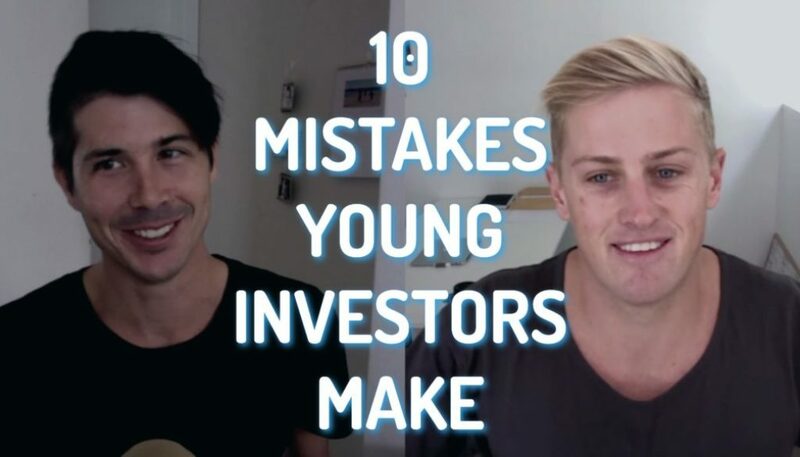 So you could be missing out on a lot of money there if it’s below market value. Another thing that does happen on occasion, though it wouldn’t happen too often, but you just need to be careful, is that agents before selling a property if they’re trying to sell it to investors, they may go out and lease that property at a sub-market rate just to get someone in there so they can say that the property is rented. And so, the property might actually be quite hard to rent, but because it’s been rented for so cheap, they were able to do that. Just something to be careful of – that it may not rent for market value. It may be below that. And if you’ve got existing tenants, then it’s hard to raise the price. You really need to wait until the fixed term is over. Unless there’s clauses within the fixed term agreement where you can actually raise the prices over time. And even when you do raise the prices, you can’t raise them by too much because the tenant can then rebuke that and say, “Well, you can’t do that.” And then you got to go to tribunal. It can be very painful. Just be careful that it may be rented below market rates. So, again, just do your research to find out what are other similar properties in the same area renting for and is my property at market rate or not? Another negative is that you’ll also be adopting the property manager. 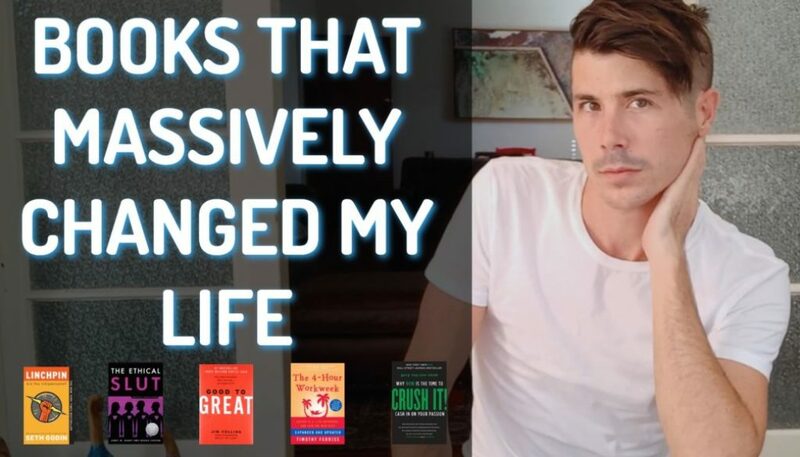 Now, you don’t have to do this, but in most cases, most people will because it’s just so much easier. You take over the property, the tenants is there, you’ve already got a property manager. Now, this can be a pro because you don’t need to go out and look for a property manager. If they’re good then done, you’re set. But it can also be a con because it may not be the fees that you want with a property manager. The property manager may not be very good. Now, you can change property managers after you take over the property. It’s not too difficult to do. However, you do need to give them notice. I think, generally, at least a month’s notice. Sometimes you need to give up to 3 months notice to change property managers. So that’s something that you’ll probably adopt and something that you need to consider. And then a negative as well, last one, is that you’ve got less opportunity to improve the property. So with a lot of properties, you may want to be an active investor and rather than just relying on the market to go up in value, you may want to actually put some sweat equity into this property. Improve the property so that you can get a re-valuation. You can go ahead and invest again. However, if you’ve got a tenant in that property, it’s going to be a lot harder to get that property renovated, to get it re-valued, etc., etc. So, that’s something to consider if renovation is part of your goal or part of your strategy for growing your property portfolio. You may be better off purchasing a vacant property that you can renovate as soon as you take over it. And then, you can go ahead and rent it out for a higher rent because you’ve now renovated this property and you can hopefully go ahead and get a revaluation done as well. There’s some pros, there’s some cons of purchasing a property with a tenant already in it. I’m sure I’ve missed on a couple of things, but that will give you a good overview of some of the things that you need to think about when you’re looking at purchasing a property with a tenant in it. So you’ve got the major benefit of that you’ve already got a tenant hopefully paying rent every week so you can do cash flow analysis. You’ve got instant cash flow and the job of getting a tenant is done. So that’s so much easier, but you do have cons or I guess they’re more potential risk that the tenant may not be very good. The property manager may not be very good. They might be below market rate in terms of what it’s renting for. You got less opportunity to improve it. But a lot of these risks you can offset by doing proper research on the tenant, on the rental ledger, on the market itself. As someone who loves positive cash flow property, I love the idea of purchasing a property with a tenant in it, but really, it’s up to you, your individual circumstances as to what you think is best for you. 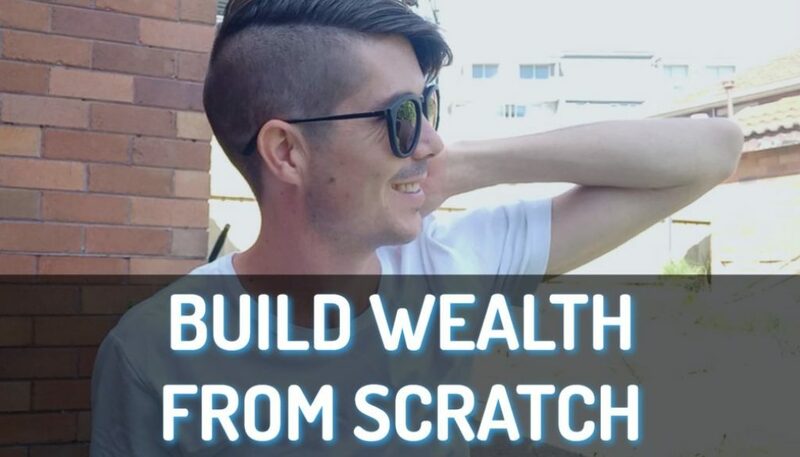 I’m Ryan from onproperty.com.au, helping you find positive cash flow property. 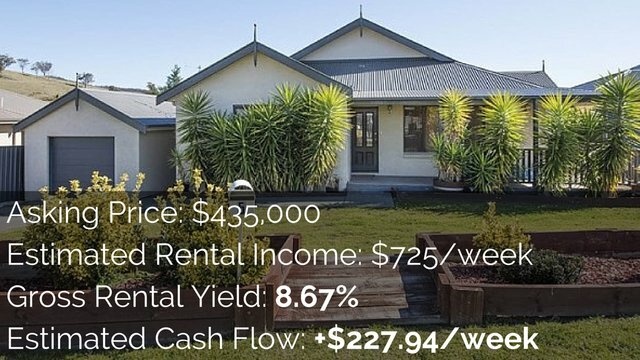 Again, if you need help assessing the cash flow of any property that you’re looking at, go ahead and check out propertytools.com.au. Starting for just as little as $5 per month, you can get access to that calculator. You can punch in things like the purchase price and the rental income and it’s going to spit out a cash flow estimate. You can then go into more detail, adjust things like deposit or interest rate or property manger fees, council rates, all this sort of stuff to get a more accurate result. 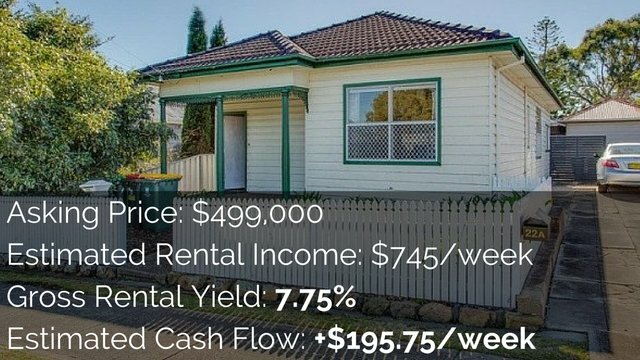 So if you’re investing for positive cash flow or you want to see what your cash flow is, there’s no easier way to find out than going to propertytools.com.au and signing up over there. A lot of people use that tool and love it. I hope you love it as well. Until next time, stay positive.